The enraged Trump supporter tried to force Kaye to interview a military mom. 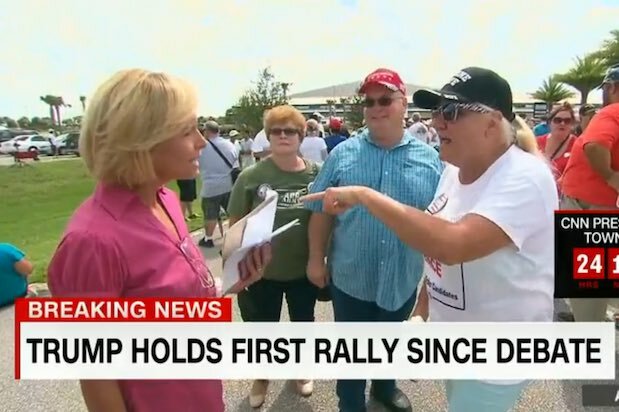 Kaye spoke with a variety of other Trump supporters at the Melbourne, Florida, rally and most of them appeared to think the GOP nominee can do no wrong. One supporter in the video calls climate change a “hoax and a half” while another said it would be “awesome” if Trump didn’t pay his taxes. 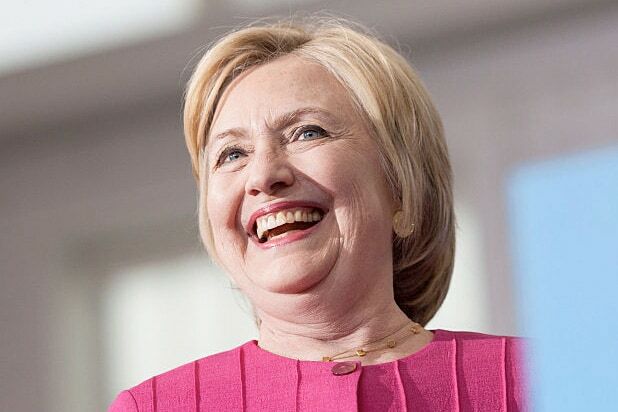 One supporter even said she still wants additional proof that President Obama was born in America, and refused to believe the current POTUS released his birth certificate in 2011. Kaye could’t find anyone at the rally who planned to vote for Clinton, but managed to find multiple people who thought Trump won Monday’s presidential debate. Meanwhile, Trump tweeted about the rally on Tuesday night.